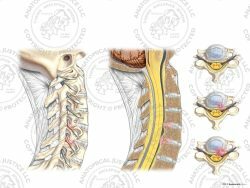 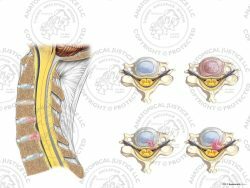 This exhibit features two conditions of the lateral spine with degenerative changes and posterior fusion. 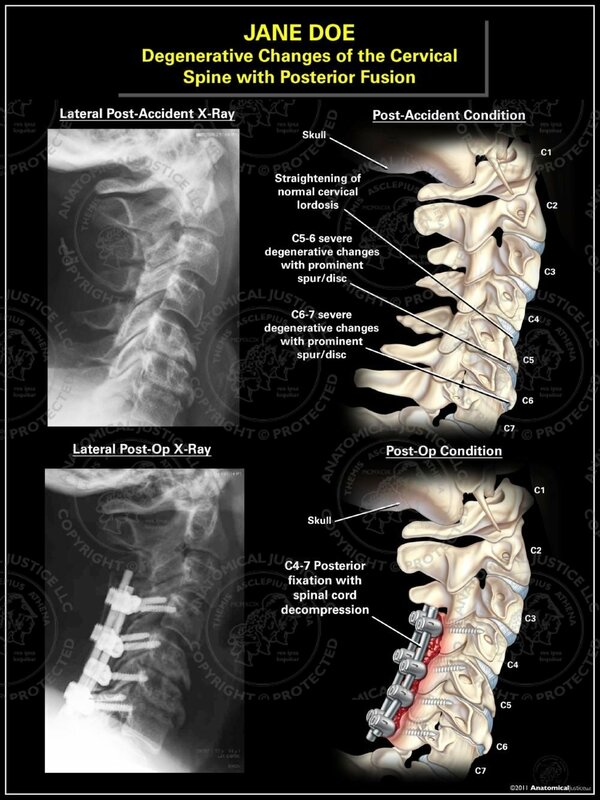 The post-accident conditions include straightening of cervical lordosis and severe degeneration of C5-7 with prominent spurring. 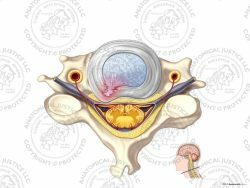 Spinal cord decompression was attained through C4-7 laminectomies, and pedicle screw placement. 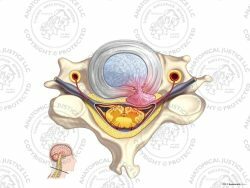 Fusion was completed with rods and iliac crest autograft.